Decoration : 18 ways to make your garage the most organized part of your entire home! 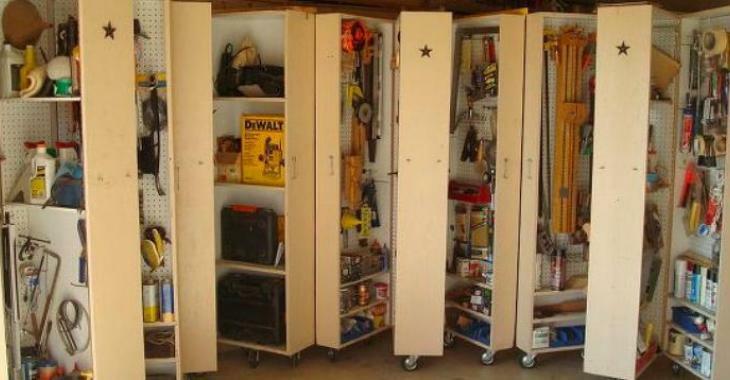 18 ways to make your garage the most organized part of your entire home! Everyone knows, the garage is often the room where all the objects end without specific storage place. In order to prevent this part of your house from becoming a real mess, the website Tiphero.com has listed 18 ways to organize this room which would probably need to be tidy. Most tips are easily achievable, so you can do it! That way, they will not move! In order to easily store all your metal pieces. A good way to recycle them! You can easily organize several of your tools. You can organize all your screws, elastic and tiny pieces. A good way to sort your types of screws and nails! You can store all your brooms, rakes, and mops. A simple way to add storage space. This will prevent you from tripping in. Who said that this type of dispenser used only paper towels? A simple way to add uncomplicated storage spaces! 12. Make yourself a wooden chest. You can store so many items! You will never lose them again at the bottom of a drawer! 14. Label your boxes and trunks. You will never forget what they contain! You can easily modulate your furniture according to your space.